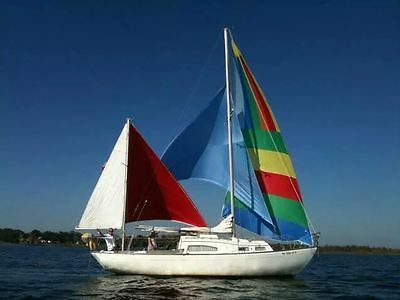 This is a RARE Dual Mast 1971 Paceship Acadian Yawl Mare II, 30 Foot Sailboat with an Atomic 4 cylinder gas engine. Sleeps 5. Multiple sails including different colors & wind conditions. Electronics have had $2,000.00 in upgrades. Depth-finder & speed-sensor Have original books & blueprints( 3 building stages). Different original manuals and all original paperwork on this Paceship. *This is also for sale locally. We reserve the right to end this listing at any time. 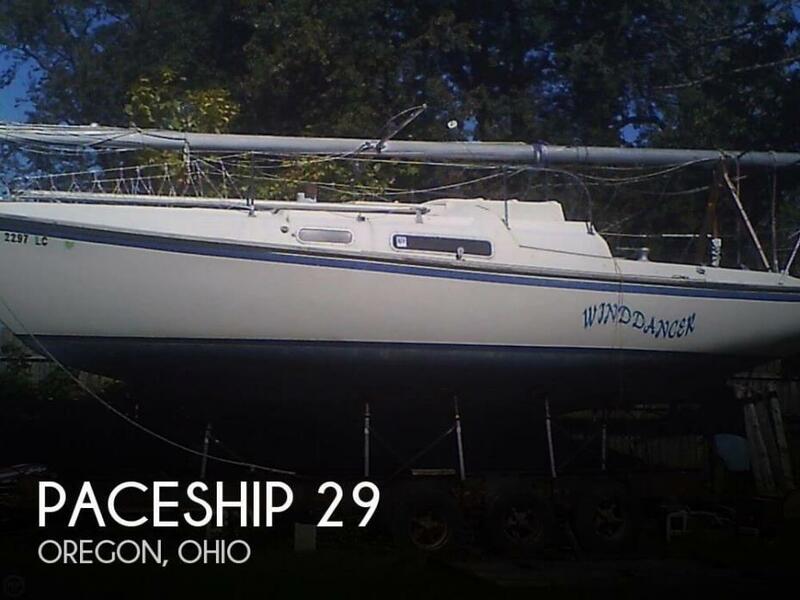 1979 Paceship PY26 Terrific vessel for cruising. Shallow draft, with centerboard up. Wheel Steering!!! Nice salon, galley & head. One person could make this a cozy live aboard. 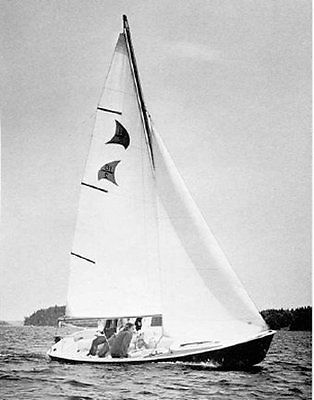 Paceship P2-16 Centerboard Sailing Dinghy, Fractional sloop with Harken roller furling jib. Designed by C&C and built by Paceship Yachts in Canada. This is hull no. 88, believed to have been built around 1970. Well maintained and upgraded by present owner. The boat is 15.5 feet in length and is wide and stable with a max width of about 6 feet. Centerboard and rudder hinge up allowing for beach launching, although the boat is heavy at 500 pounds. Large cockpit comfortably accommodates 4-6 people. Small cuddy cabin for stowing life jackets, anchor, personal gear, etc. Fiberglass hull and aluminum spars in good condition. Standing and running rigging has been replaced. Sails are older, but serviceable. The boat has very nice sailing qualities, well balanced, powerful and reasonably quick on a stable and dry platform suited well to both kids and adults. Note: Boat is presently sitting on a galvanized trailer with bunk boards. Trailer has had recent axle and wheel bearings replaced. New winch. Trailer is NOT included with the sale of the Paceship but is available for and additional $500 firm. 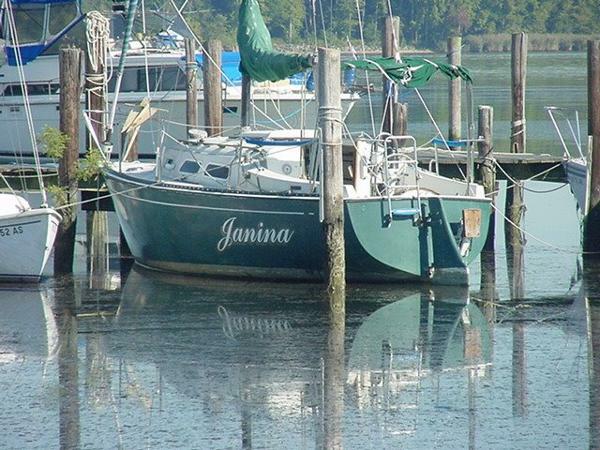 Buyer will need own trailer to move the boat or arrange to purchase this trailer separately.